Hughes & Company Real Estate loves giving back to our community! In addition to sponsoring sports groups and local events, we hold several events throughout the year that are designed to support and bring awareness to the needs within our community. If you are aware of a need in our community that you’d like to bring to our attention, please email us at GivingBack@Hughes-and-Company.com. Each year, in a partnership with the Austin Board of Realtors Foundation, Hughes & Company Real Estate gives a college scholarship to a deserving high school senior! We love supporting our youth. 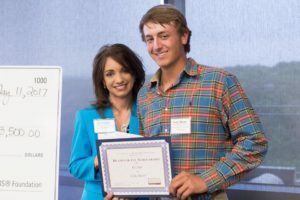 The 2017 Hughes & Company Real Estate Scholarship was awarded to Cody Moore from Burnet High School. The 2018 Hughes & Company Real Estate Scholarship was awarded to Kathryn Martin, also from Burnet High School. We are looking forward to meeting our 2019 recipient very soon! 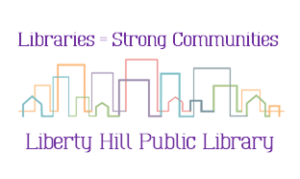 Hughes & Company Real Estate loves supporting our local library! Each year our brokerage sponsors the Summer Reading Program at the Liberty Hill Public Library. Our library has so many wonderful and free events for the children in our community. If you haven’t been to our local library, stop in and check it out. And, if you haven’t been to one of their awesome events, you are missing out! You can view their calendar of events on their website. Supplies for Teachers was the brainchild of our very own Cheryl Stephens. Cheryl found that an overwhelming number of teachers spend their own money on supplies for which they are not reimbursed. In 2018, Cheryl decided to start a teacher supplies “needs list” by polling teachers in our district. She then enlisted businesses and members of our community to help fulfill those needs. The program was such a success that she’s decided to make this a yearly event. Check out Cheryl’s FaceBook page for Supplies for Teachers here. Hughes & Company Real Estate is a proud sponsor of the Liberty Hill Youth League. This youth baseball and softball league serves the Liberty Hill community and surrounding areas. We love supporting our young athletes while they have fun, learn about the game, and learn to work with others on a team. 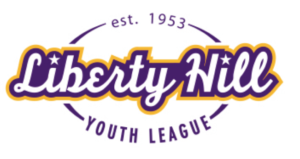 You can find out more about the Liberty Hill Youth League by visiting their website. Hughes & Company Real Estate is a proud sponsor of the Dirtbags! 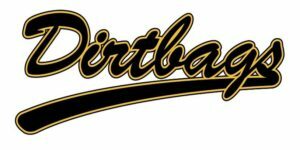 The Dirtbags are a Nonprofit 9U youth baseball team in Leander. Known to leave it all on the field, these boys make noise with their exciting brand of baseball. These kiddos play hard and have fun on the field. They believe that Integrity is the foundation of their actions, Passion energizes their purpose, and mutual respect for one another drives Teamwork. We agree! Hughes & Company Real Estate is a proud sponsor of the Liberty Hill Youth Football and Cheer (LHYFC) organization. LHYFC is a non-profit organization serving the Liberty Hill community. Their organization’s mission is to encourage good sportsmanship, teamwork, social responsibility, and physical and mental advancement through structured competition. We love supporting these athletes.